Hi, I'm Lujan, your Destination Expert. The choices below are based on the trip you selected, feel free to customize them according to your preferences. Yes, Lujan can send me a non-binding offer. 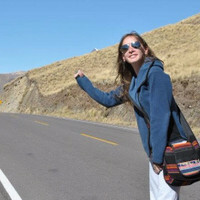 "Our trip is over and we want to thank Lujan for the opportunity and for patience during the preparation of the trip. The trip was organized very well and all services were provided on time and with high level of professionalism. Special thanks to Gabriel from Mendoza and to Frodo from Ushuaia, their knowledge, friendliness and sense of humor were remarkable and we will take it as a national Argentinian trait of character. We will be happy to recommend services of Lujan to our friends and relatives"